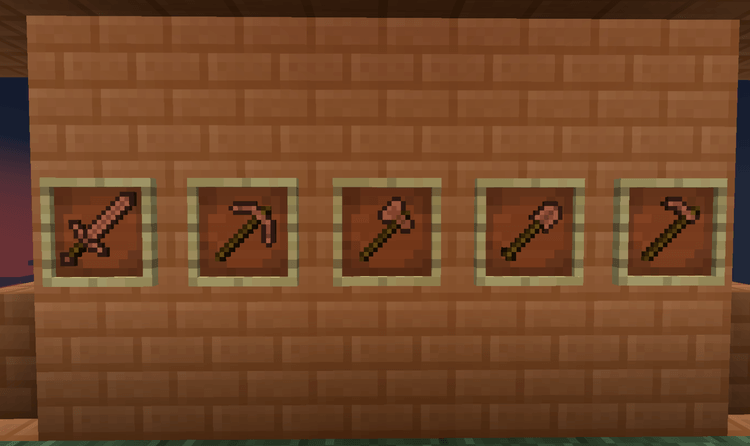 Adobe Blocks 2 Mod 1.12.2/1.11.2 for Minecraft gives your game new recipes, new items, and new different blocks. From that, you have more choice in building and decorating a house. If you love studying about novel materials or adding some orange in your building, definitely Adobe Blocks 2 mod fits your need. Adobe-Blocks 2 brings a new material, Adobe, into Minecraft world. This stuff is generated with 4 Sands, 4 Dirts, and 1 Water Bucket. With that recipe, you can create 32 Adobe Mixtures. After firing an Adobe Mixture, you have an Adobe Brick. With 4 Adobe Bricks, you can manufacture an Adobe Blocks. 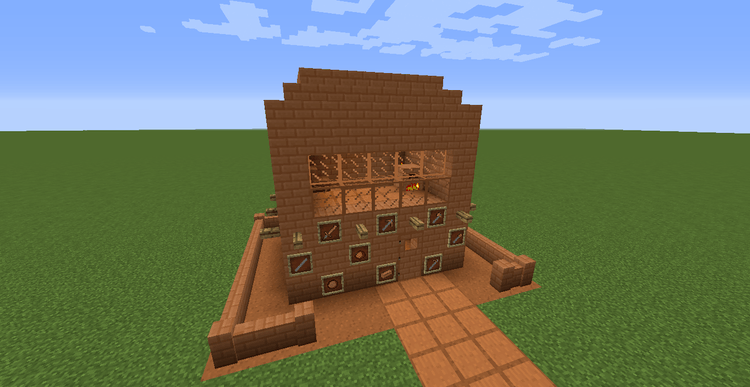 And with Adobe Block, you can make some kinds of stuff such as Adobe Stairs, Adobe Slabs, Adobe Walls in construction. Especially, Adobe Blocks 2 even has a gate to prevent Villager coming in and out. 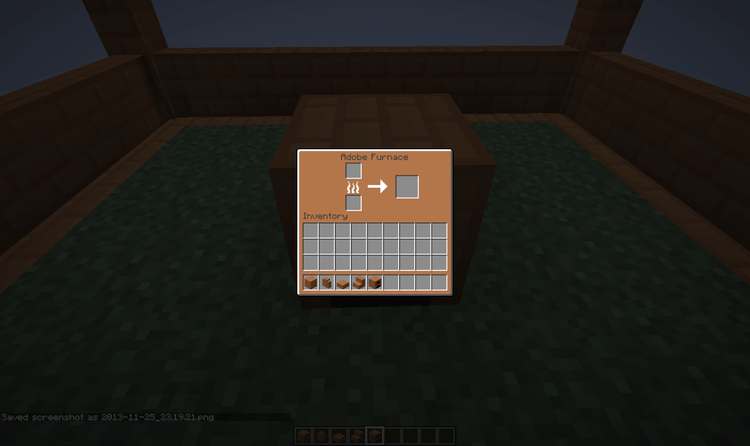 Besides blocks used in construction, Adobe-Blocks-2 introduces player a tool. Although its quality is not so high, its endurance is better than wood and a block namely Adobe Furnace. 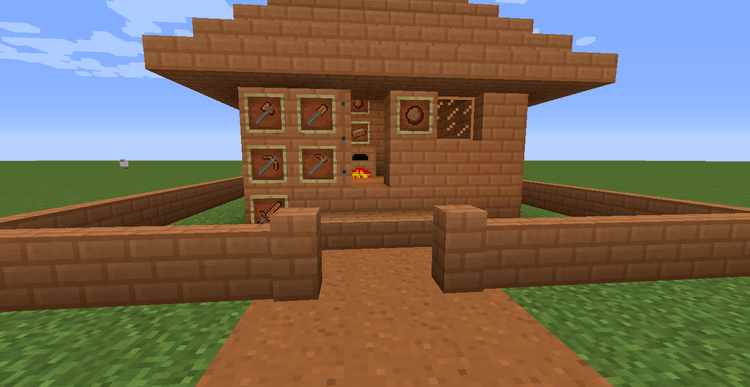 You can generate an Adobe Furnace with a conventional Furnace and 8 Adobe Blocks. Adobe Furnace has its own HUD with outstanding orange. Moreover, it has a different appearance from regular Furnace, and its Smelting speed is 20 percent higher than that of conventional Furnace. Adobe Blocks 2 requires Forge Mod Loader, Minecraft version 1.9.4, 1.10.2 and 1.11.2, 1.12.2.